Apsara, devas in the air, spirits of clouds, moisture, music. They represent the feminine principle. 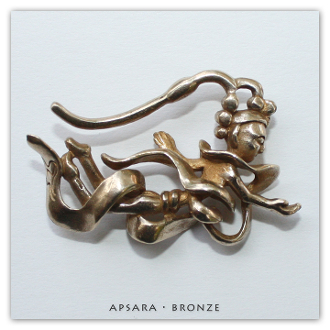 Apsara is available in solid: Bronze (Yellow).